Our eight in-country partner organisations are best placed to reach the communities they know, understand and are part of. We believe that by strengthening partner capacity, the impact of our work will strengthen. To ensure we improve and maximise on the impact of our programmes, we will invest in improving our own capacity and will work with partners to build their capacity in the areas of disability, child protection, climate change (adaptation), MEL, advocacy, programme design and project management. We will also, where possible, support the capacity development of partners’ individually identified organisational development needs to contribute to their resilience. Bearing in mind our capacity as a small Bristol-based NGO, we will phase in these changes overtime. We will strengthen our programme support in-country by further strengthening the African Initiatives Tanzania office, so that it in turn can provide more tailored and appropriate support to our partners, making them more resilient and robust as organisations. To further strengthen our impact, African Initiatives will seek partnerships with networks and other like-minded organisations with whom we believe we can achieve our vision in which marginalised women and girls in Africa are empowered to achieve their potential. 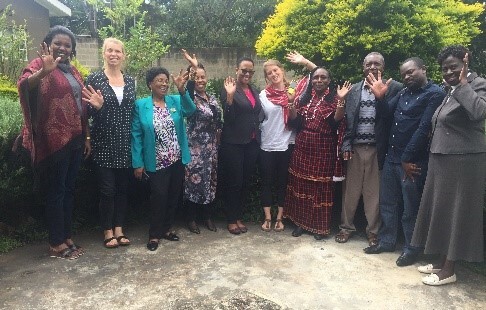 If you are an organisation based in Tanzania and would like to discuss forming a partnership with African Initiatives, please contact our CEO Kim West by email kim@african-initiatives.org.uk or phone +44 (0) 117 915 0001. A partnership strategy will be in place by 2018, clearly setting out our partnership approach and goals. With African Initiatives’ support, all partners will have strengthened their capacity in the areas of child protection, disability, gender and climate change. Implementing partners will have strengthened their MEL capacity to ensure projects are evidence-based and achieve the highest impact.